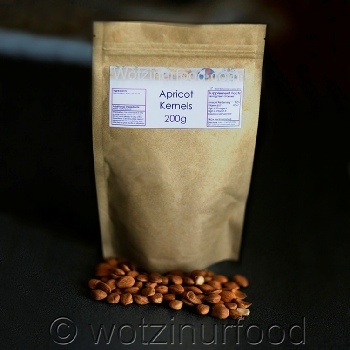 Introducing Bitter Apricot Kernel Seeds from Wotzinurfood, a 3 Month + supply in the form of Apricot seeds in a handy re-seal able paper bag. Take 1 - 3 seeds daily, preferably chewed to benefit from the skin and core. It is advisable to take no more seeds than you would consume the actual fruit. High in Vitamin B17, Omega 6 and Vitamin E.